To show our support for Breast Cancer Awareness, we added a Pink Ribbon to Eco-Friendly Market Bag. Our Eco-Friendly Market Bag is an excellent alternative to the disposable plastic or paper bags. 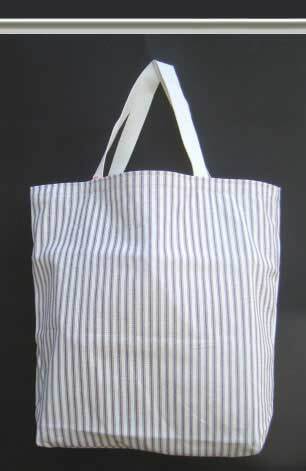 With durable, triple-stitched cotton webbed carrying straps; our Market Bag is perfect for your grocery or retail purchases. 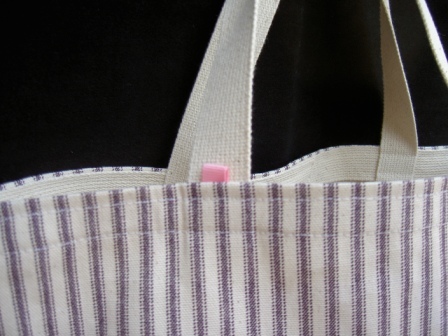 The stylish plum stripe cotton bag measures 17”x15”x5”. Machine wash, gentle, cold - Tumble Dry, low. Price: $8.95 each, with a portion donated to Breast Cancer Awareness.